Collaboration skills need to be explicitly taught and modeled. Just like reading, writing and math strategies, students need to learn a repertoire of social skills, like active listening, how to take turns in a conversation and how to receive others' ideas respectfully. While our students have been working on their latest curricular inquiry circles, my teaching partner, Sarah and I had started to notice that we were putting out a lot of fires and devoting a lot of time to refereeing battles between group members. Here are some of the mini lessons we delivered to help remind our students of their collaboration skills. 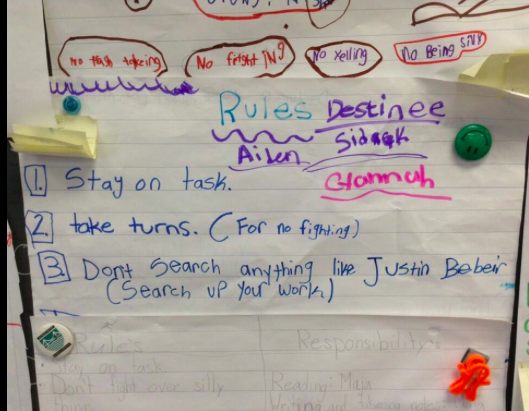 At the beginning of our Inquiry students created "Ground Rules" with their new groups. We took all of the rules students created and made an anchor chart for the whole class. 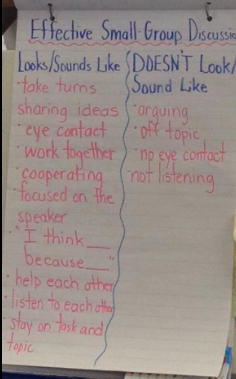 We decided that it would be a good idea to create a looks like, sounds like chart to remind our kiddies about what effective small group discussion looks like and sounds like in our classroom. After discussing the clip, Sarah had our students role play in their inquiry groups what it looks like when students are listening carefully, taking turns and monitoring their own participation. They also role played what it looks like when they do not work effectively. Students discussed both ways and it made them realize the mistakes they were making in the group that was sabotaging their learning. 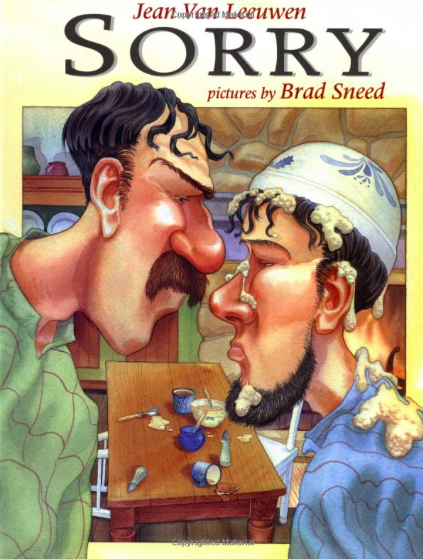 Sarah also found a great book titled "Sorry" by Jean Van Leewen that is about two brothers that get into a silly argument and never speak again, nor do their children or grandchildren until one day their great-grandchildren meet and one says he's sorry. From that one magical word the silly feud is finally over. 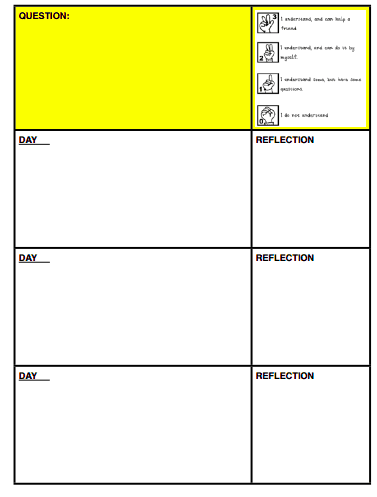 This sheet really helped students make a plan, stay on track and were for the most part very honest with the reflection part. Everyday, we stop 5 minutes early to give the students that reflection time and it is their ticket out the door when they leave for recess. Let's not forget a very important piece of the puzzle...us. We also are collaborators. We collaborate with other members of our team everyday, we have to model what we teach and be there to facilitate, coach and teach our students how to effectively use those social strategies and try to figure out the problem before the group goes completely off track. Is there still problems with group members in our classroom? Of course, we are working everyday to teach and reteach those skills that students will need for the rest of their lives. Thanks for the post! What really resonates with me here is making sure the students have the time to reflect on their experiences. Without the reflection piece, it's hard to expect students to be able to learn and grow from their group experiences, good or bad. It might be hard to find the time, but it sounds like it pays huge dividends in terms of letting you stop playing firewoman and get back to pressing student thinking about the topic under study. Great ideas!